الخيار الأفضل للحصول على المتعة والاسترخاء، Dunsborough Central Motel يقع في منطقة رائجة من أفضل مناطق المدينة. يحظى هذا الفندق ذو 3.5 نجمات بمكان ممتاز يسمح بالوصول إلى المعالم السياحية الأكبر في المدينة، فهو يبعد مسافة 0km عن صخب المدينة. يوجد العديد من المعالم السياحية الأكثر جذبًا للسياح في هذه المنطقة. إن Dunsborough Central Motel حريص على توفير الراحة للنزلاء، فلا يوفر الموظفون جهداً في تقديم أفضل الخدمات وضمان حسن الاستقبال. إن واي فاي مجاني في جميع الغرف, خدمة التنظيف يوميًا, خدمة غسيل ذاتية, خدمة سيارات الأجرة, مجهز لذوي الإحتياجات الخاصة هي جزء فقط من الخدمات التي تميز Dunsborough Central Motel عن باقي الفنادق في المدينة. في الفندق غرف نوم يتجاوز عددها 47، كلها مجهزة بعناية وجمال وبعضها مزود بـ تلفزيون بشاشة مسطحة, سجاد, قهوة فورية مجانية, شاي مجاني, بياضات. يمكنك الاستمتاع بالأجواء المريحة التي تقدمها السهام المريشة, مسار جولف - ضمن 3 كم, حمام سباحة خارجي, سبا, بلياردو طوال النهار. إن Dunsborough Central Motel هو مكان مثالي للمسافرين الذين يتطلعون إلى الراحة والاستجمام في المدينة. Staff was very friendly and helpful, we felt very welcome. Parking was complimentary - that was a plus for us. Room was huge, and came with microwave oven. Dunsborough is a relatively small town, and everything was accessible from here, we had a comfortable stay. We arrived very late at the motel. However the management has made the arrangement for us to collect the room key. 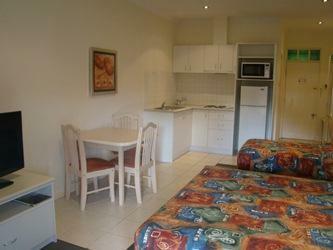 The motel is conveniently located within the town centre with restaurants and Coles Supermarket just across the road. Near to all tourist attractions in the region. The price also affordable. Our booking was a last minute decision when we decided to extend our stay in the South West region. We were pleased with the Dunsborough Central Motel - it was clean , comfortable and in a convenient location for the one night. The bathroom was cold but at least it was clean and well equipped with amenities. The beds were comfortable and clean. There were movies on tv and the kids were entertained. The only negative was no free wifi. The connection was not really good too. But the location was central and easy to find food nearby. We stay here most of the time when we visit Dunsborough. This hotel is right in town and affordable. Very close to our favourite restaurant, Piari and Co so we don't have to worry about getting a taxi home. This motel is next to Piari and Co, an excellent new restaurant. This is our fave place to eat. A bit fancy and not a cheap eatery though. We love the Duns Motel, it is cheap and friendly and very central. Check in and out is really fast and the reception staff are always friendly. We stayed in a family room for 4 pax. Room was well-equipped. We went to the supermarket located just opposite the motel to get BBQ stuff. Had a great time soaking in the heated pool before we started BBQ foodstuff for dinner. Had lots of fun! Good location...great facilities... next to shops and pubs. Loved it. Budget hotel at a good central location with eateries nearby. Staff were friendly and helpful. WIFI was good, and the room was equipped with all that you need, including toaster and microwave. However... LOTS OF MOSQUITOES! We killed more than 10 (not exaggerating)! Good thing was that the ceiling was not that high, so it was easy enough to kill most of them (tip: smack with solid magazine, pizza delivery style), and as a result, we weren't really bothered or bitten overnight. Overall, I'd recommend it if you're willing to spend 30 minutes smacking the mosquitoes. We have stayed here twice now and really like it. 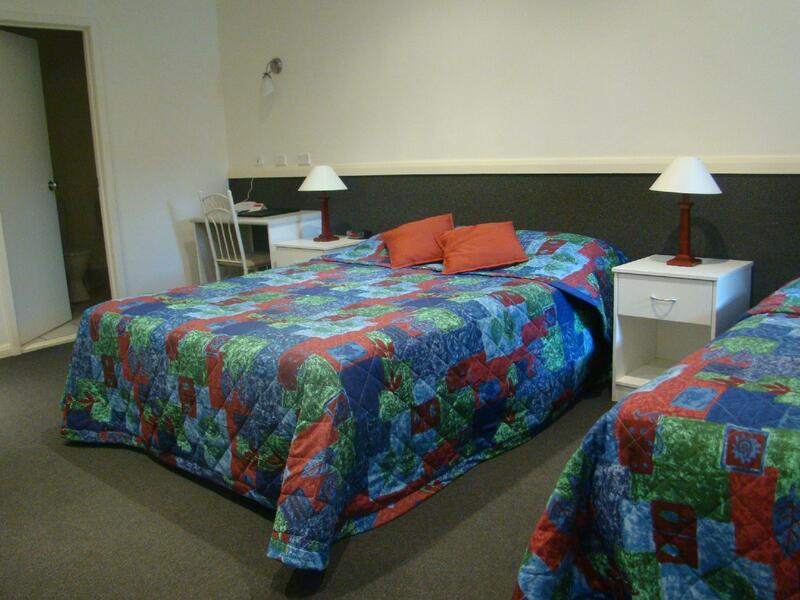 The rooms are basic but very clean and comfortable with everything you need for a short stay. The staff are friendly and helpful. The location is very central for everything in Dunsborough and sight-seeing this part of the WA coastline. This is a fantastic Motel which is right in the centre of town across the road from the shopping centre and next door t the hotel. The rooms are excellent value for money, very clean and pleasant staff. 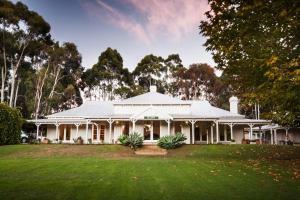 Located in the heart of Dunsborough town, it is conveniently located to all amenities. Dome Cafe across the street opens at 6 am. 30 minutes drive to Margaret River and Busselton. Affordable no-frills motel with friendly staff. Recommended. This was our first trip to Dunsborough and the motel was chosen on reviews that I read and the cheaper price compared to other accommodation in area. We were really impressed with motel. The room was awesome and my 2 boys aged 7 and 9 loved the pool. The central location of the motel made our stay that much more relaxed with all restaurants, bars, coles, and even the beach within a small walk. I will certainly stay here again on my next visit and highly recommend this motel to all interested. Town centre, close to shops n food. Good for short stayover. Noisy in the mornings as doors n window do not have any insulation from sound at all. Noisy box aircon unit needed turn off to get to sleep. Tavern just round the corner. Food within walking distance. IGA, bakeries, cafes etc. I was expecting an older, more run-down place but I was pleasantly surprised, the hotel was better than what I expected from reading online and from seeing the photos. Our room was basic yet very comfortable and modern. Fantastic location in the middle of town, lovely kept grounds and easy parking. Best value around the area. I would stay here again. Stayed overnight with my partner and young baby, not expecting too much but was pleasantly greeted with a clean, spacious room, all for a reasonable price being a long weekend. Very suitable for families with picnic tables and bbq's available to use. Couples will enjoy the spa room (as we stayed in) and it won't break the bank. Nicely located near all conveniences but still quite enough. Very satisfied.